The future of washroom management. Set up a shift structure, including breaks. Allow your staff to select their areas of responsibility for the shift. Track footfall with our best ever, real-time footfall counting technology. See when your busiest periods are so you can better allocate your resources. You will be alerted when you need to react. If cleaning due times slip or customer feedback dips, you'll know instantly via email, SMS or our portal. Allow cleaning teams to report issues direct to the maintenance team. ​Make sure the main tasks are covered. Add your Standard Operating Procedures to your checklist. 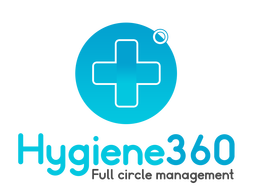 Update your settings, manage users and access data in the Hygiene360 portal. We love providing great customer service, and we love helping others do the same. We love to talk, so feel free to call us, email us or write to us. Anytime.